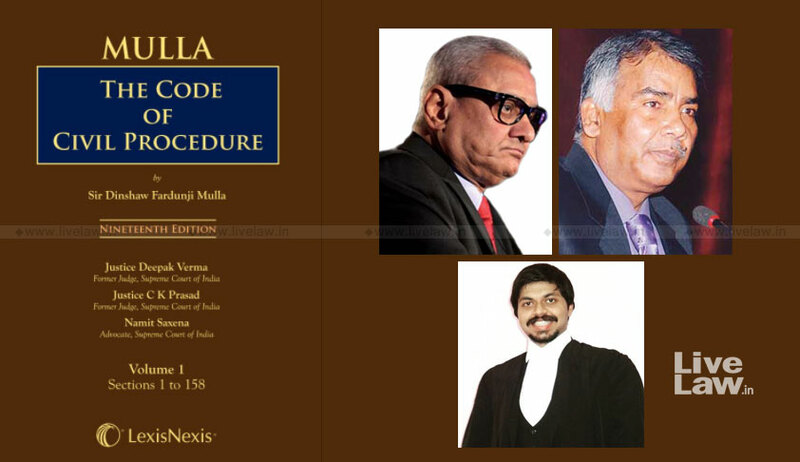 The Code of Civil Procedure, 1973, is a vehicle for dispensation of justice with its applicability ranging from trial courts to the Supreme Court as well as tribunals. It has continuously evolved through legislative amendments as well as judicial interpretations over the years to accept its present form. Sir Dinshaw Fardunji Mulla’s commentary on the Code of Civil Procedure is a legal classic that has served the legal fraternity for almost a century by simplifying technical rules of procedure and complex legal issues. The commentary has throughout been written lucidly and carries section-wise as well as Order-wise discussions, which places it amongst the most authoritative and leading commentaries on the law of civil procedure in India. The instant edition has been revised and updated by Justice Deepak Verma, former judge, Supreme Court, Justice CK Prasad, former judge, Supreme Court and currently the chairperson of the Press Council of India, and Mr. Namit Saxena, advocates practicing before the Supreme Court. This publication incorporates the changes brought about the newly enacted The Commercial Courts, Commercial Division and Commercial Appellate Division of High Courts Act, 2015. This 2015 Act provides for streamlined procedure to be adopted for the conduct of commercial disputes. It also provides for the creation of commercial courts (equivalent to district courts) in all states and union territories, commercial divisions and Commercial appellate divisions in the High Courts. Highly acclaimed and the most authoritative section wise commentary on the subject. This legal classic presents an authoritative, revised and fully updated account of the law relating to civil procedure in India. The object, principles and meaning of the sections and orders in the Code are explained and analyzed in the light of important judgments pronounced by the Supreme Court and various High Courts. Explains complex legal concepts with clarity and coherence as well as covers all aspects and dimensions of law relating to civil procedure in India. Amendments made by the Commercial Courts, Commercial Division and Commercial Appellate Division of High Courts Act, 2015 which provides for streamlined procedure to be adopted for the conduct of commercial disputes of specified value are incorporated at relevant places in the Code. This comprehensive treatise on the Code of Civil Procedure contains the latest case law and State Amendments made by various High Courts. The forthcoming edition of this leading work has been painstakingly drafted to include the latest cases, legislative amendments, current developments and evolving judicial trends in the law relating to criminal procedure. Legislative changes over the years have been incorporated and supplanted with latest judgments of the higher courts.